Plumes of smoke, billowing in various shades from white to black, frequently fill the skies over the Manchester neighborhood of Houston. 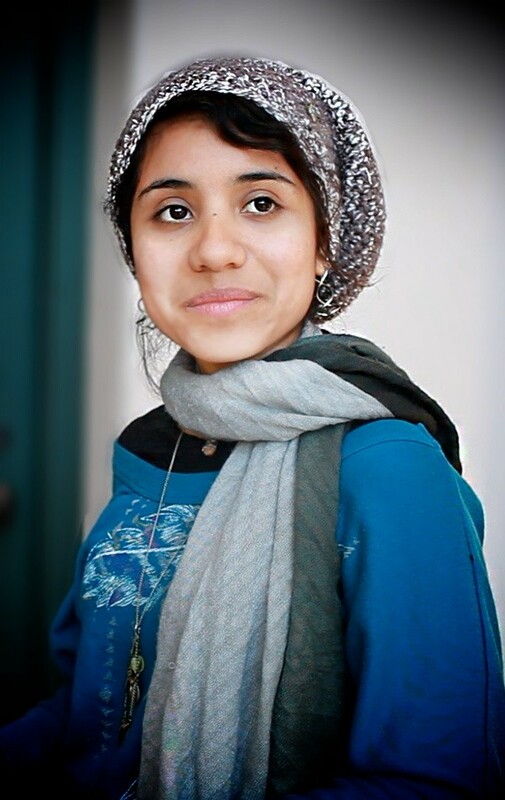 It's no wonder, said Yudith Nieto, that local children grow up thinking oil refinery stacks are "cloud makers." As they get older, added the 24-year-old Manchester native, the children discover that they don't like those clouds. "They'll say the clouds 'smell nasty' or are 'not good for me,'" said Nieto. "It's kinda sad. But these kids get it. We don't give them enough credit." Yudith Nieto worries Keystone XL would put the health of her low-income neighbors at greater risk. The density of oil refineries and petrochemical plants has made this low-income, minority Texas community home to some of the country's most toxic air. Should President Barack Obama approve the Keystone XL pipeline -- a fiercely debated proposal to transport heavy crude from Alberta's oil sands deposits 1,700 miles to refineries along the U.S. Gulf Coast, including in Manchester -- Nieto and other activists worry that the air will become even dirtier, and the community even sicker. Compared to refining conventional crude oil, processing heavy molasses-like tar sands oil into useable fuel has been found to release more sulfur, heavy metals and other toxic pollutants. "This is obviously environmental racism," said Nieto. "My family and friends here suffer the consequences of this whole greedy business." Blas Espinosa shares Nieto's concern. When he's not in class at a nearby college, Espinosa spends his hours teaching kids how to garden and selling organic produce at a farmers market. Growing food locally and organically, he said, reduces the use of petrochemicals: Less gasoline is needed to truck the food to consumers, and fewer fossil fuel-derived pesticides are required to grow it. Similar insight has led him to join other activists in vocal opposition to the continued reliance on fossil fuels and toxic pollution he believes would come with Keystone XL. "I've never been one to speak out. I've always been quiet and stuff," said Espinosa, 22, who has lived all his life near Manchester and the Houston Ship Channel. 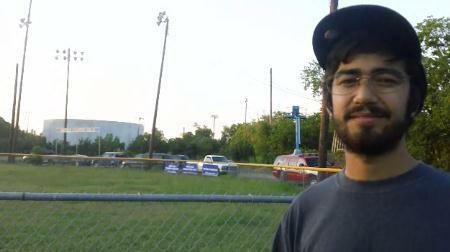 Blas Espinosa stands in front of a youth baseball field on which he used to play. The field is in plain sight of a refinery. Espinosa said that his biggest concern is the "health of my family and everybody, born and unborn, in the area." His mom suffers from asthma, heart abnormalities and tumors. He has friends with cancer. In a December 2010 report, the Sierra Club linked tar sands refinery emissions to prenatal brain damage, asthma and emphysema. A recent Houston-area study found a 56 percent increased risk of acute lymphocytic leukemia among children living within two miles of the Houston Ship Channel, compared with children living more than 10 miles from the channel. Manchester's local schools are ranked among the top one percent of the most polluted in the country. "If there's any place where we should not be adding more pollution, it would be these overburdened communities," said Danielle Droitsch of the Natural Resources Defense Council. "Keystone XL will make their problems worse." TransCanada, the Canadian company leading the pipeline project, argues that its pipeline would not add to refinery emissions. Rather, it would simply displace heavy crude oil now coming to the refineries from Venezuela and other countries, Grady Semmens, a TransCanada spokesperson, told The Huffington Post via email. "Since the sources of oil that will be pushed out of the Houston refining area are typically shipped by large water borne supertankers," Semmens added, "greenhouse gas emissions will decrease as a result of oil coming through these pipelines." The U.S. State Department's Keystone XL draft analysis report, which sparked rampant criticism from environmentalists when it was released earlier this month, also concluded that the project would not significantly affect refinery activity on the Gulf Coast. "That makes no sense whatsoever," said Droitsch. "There will be an increase in air pollution. It's not a matter of if, but how much." Oil Change International has calculated that the 14 refineries in line to receive oil from Keystone XL processed less than one-third of Venezuelan crude oil imports in 2012. Nearly the same quantity of crude was handled by just two Venezuelan-owned Gulf Coast refineries. The pair may well pick up the slack for any oil being backed out of other refineries, predicted Lorne Stockman of the advocacy group. Stockman told HuffPost that the State Department's conclusion is "disingenuous" and "misses the point." "In the last five years, a lot of those companies have invested billions to equip refineries to process heavy oil in anticipation of XL," said Stockman. "With the project's delay, they're pulling in from everywhere they can get it because they haven't been able to get it from Canada." Nieto and Espinosa would like to see the project delayed indefinitely. Both have been working to educate and empower their neighbors to help in the fight against the pipeline. "These are poor people of color. Many don't speak a word of English. That doesn't help them in reading public information, participating in community meetings or talking to representatives," said Nieto. "What people really want to do is get out of here," she noted, adding that she enjoyed a reprieve from her own health problems while attending college away from Manchester. "But it's not easy to get out of here. When you try to sell a home, there are no buyers." Espinosa said he'd like to get out himself, "buy land somewhere in the hills of Austin, build a house and have a garden." "But I also don't want to leave everyone here," he said. "With the tar sands and Keystone, now is not the time to stop and be comfortable. I'm pretty set on being, as they say, the solution to pollution." Part of a series on people living along the proposed path of Keystone XL.